Tickets to Derek Jeter's final home game in the Bronx are still very pricey, but the average price has started falling along with raindrops in New York. 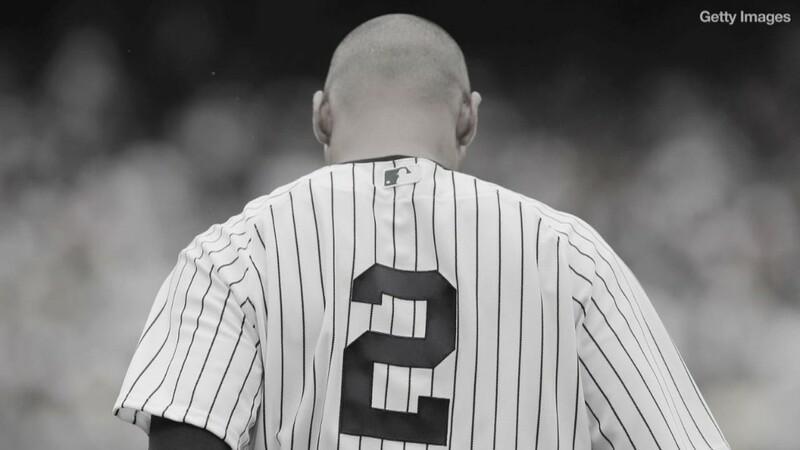 Jeter, who announced in February that he'll retire after this season, is scheduled to play his final home game Thursday night against the Baltimore Orioles - weather permitting. But with forecasts suggesting the game could be canceled or delayed until very late Thursday night, the prices are off of the highs seen just the day before. Tickets for Thursday's game sold for an average of $420 online between midnight to 9 a.m Thursday, according to SeatGeek, a ticket search engine, down from $642 a day earlier. Prices are even below the $475 average just this past Thursday, said SeatGeek's Connor Gregorie. The cheapest tickets are roughly $243, down from $360 for the cheapest tickets on Wednesday. Gregorie said that typically resale prices drop in the final hours before a big game, as the better tickets are no longer available and sellers cut prices so they're not stuck with tickets. But he said the price for the Jeter tickets have fallen more than normal and he believes that's due to the weather forecasts. Still at their high point, the Jeter ticket prices were very high, comparable to what fans would pay for a World Series ticket, which the Yankees fans will not be buying this year. Last year World Series tickets in St. Louis fetched an average of $702. Prices were higher in Boston; tickets for the final game went for an average of $1,100. It was the first time that Red Sox fans had a chance to see the team win a championship at home in 95 years. Jeter and the Yankees have their final three games of the season in Boston after his final home game, and those tickets are getting pricey too. Tickets to the first two games cost about $160, and $336 for the final game Sunday. Watching Yankees icon Mariano Rivera play his final game in the Bronx cost a lot less -- tickets were about $88 two days before the game. If this Thursday's game is rained out and isn't rescheduled, anyone who paid top dollar in a private transaction or on Craig's List will have to haggle with the seller to get the money back. But fans using online resellers like eBay's (EBAY) StubHub can get their money back, leaving sellers out of luck. "I hope those sellers haven't spent the money already," said Gregorie.